On Sunday, I got to sit down with some fellow peeps from the blogging world and sample the new breakfast menu. The restaurant, which is tucked away in Bedford Place, is owned by Masterchef 2012 winner Shelina Permalloo and her husband Rachid. 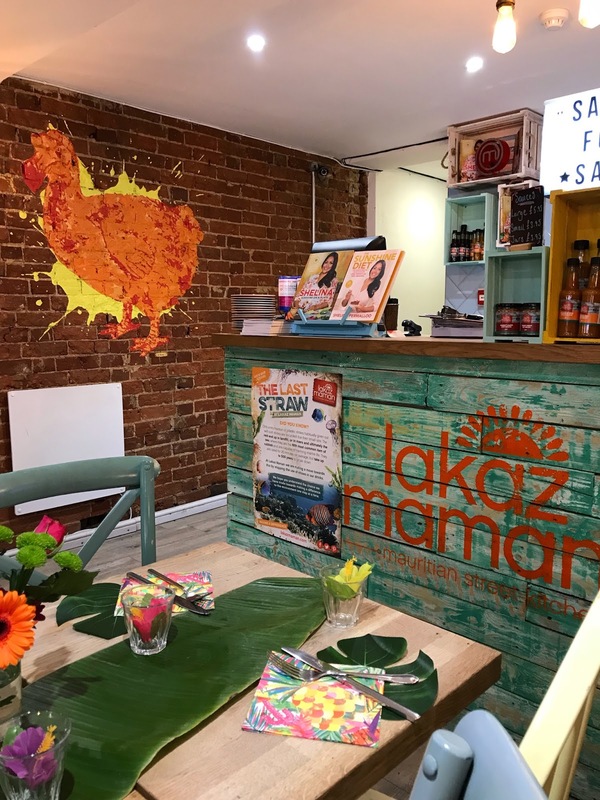 The name, 'Lakaz Maman' is Mauritian Creole for 'Mum's House', which is certainly fitting. The eatery has a real homely feel and a relaxed and comfortable atmosphere. Shelina spoke so passionately about the restaurant and talked to us about how she and her family had worked hard to transform the place, as the building was a complete shell when they got it. They really have achieved something wonderful. 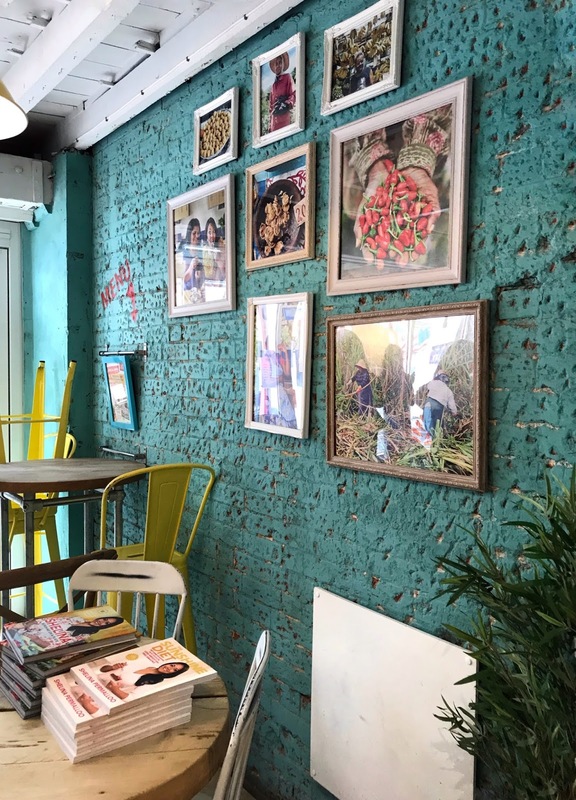 The decor is sunny and bright and when you walk through the door, it feels as though you have been transported right to the streets of Mauritius, thousands of miles away from the centre of Southampton. I could easily have whiled away the rest of my Sunday, sat in a corner there. I wish I had taken more photos of the interior but, if I am being completely honest, I was taken in entirely by the food. With good reason too because it is incredible. I opted for the 'Breakfast Torpedo'. In truth, there were a few things that stood out to me, but this sounded particularly delicious. 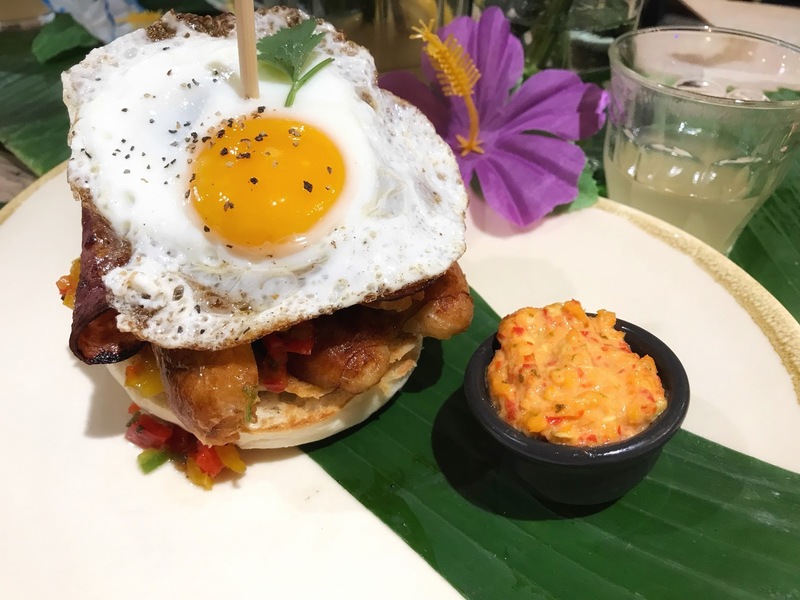 It comprises of chicken sausages, turkey bacon, Mauritian salsa and a fried egg served atop a breakfast muffin. The combination of flavours was wonderful and the whole dish was incredibly tasty. The salsa had a real kick to it, which I wasn't expecting, but it added some real spice to the breakfast (literally). 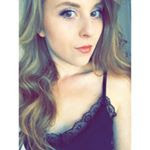 I only had a little bit, because it was a bit too hot for me, but at the same time it was quite pleasant - if that makes any sense at all. I mean seriously how good does this look? My breakfast was washed down with some ginger and tamarind juice. I was wary of trying this as ginger is not one of my favourite flavours, but this was a pleasant surprise. The ginger wasn't overpowering at all and I would happily have drunk a whole bottle of the stuff. Shelina sent us away with a lovely goody bag too, so we can bring a little Lakaz Maman into our own homes. 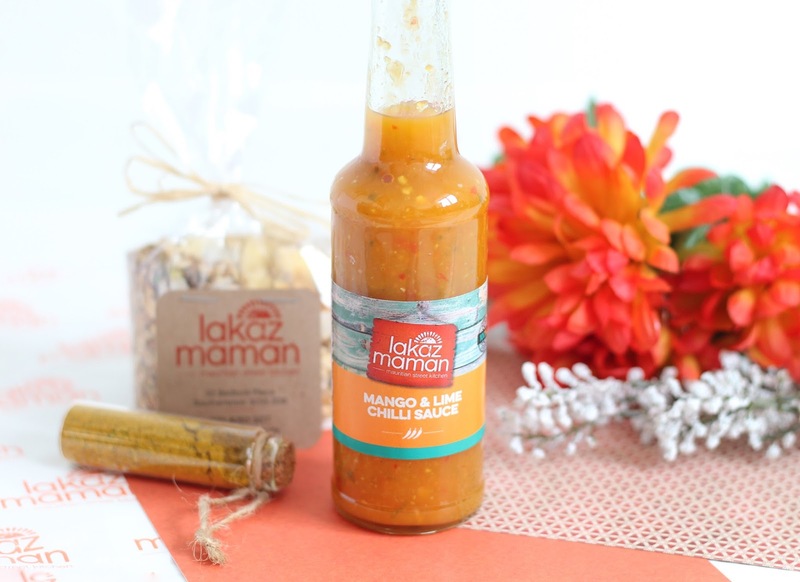 We each received some Mango and Lime Chilli sauce as well as a spice blend. Shelina said the restaurant makes all of its own blends for their curries on site, so I am excited to cook with them. I had such a pleasant time here at the weekend, that I am already looking forward to returning. Not only have I informed my colleague that we need to venture back here one lunch break in the not too distant future, I've also relayed half of the menu to my boyfriend and informed him we will need to visit too. If the rest of the menu is as good as the breakfasts, I know I certainly won't be disappointed!